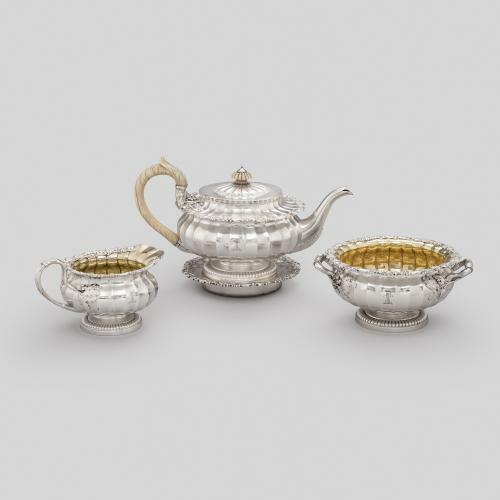 Up until the early 19th century, the cost of tea was so high that it was regarded as a luxury and enjoyed only by the privileged few. For protection, tea leaves were stored inside lockable boxes known as tea caddies. 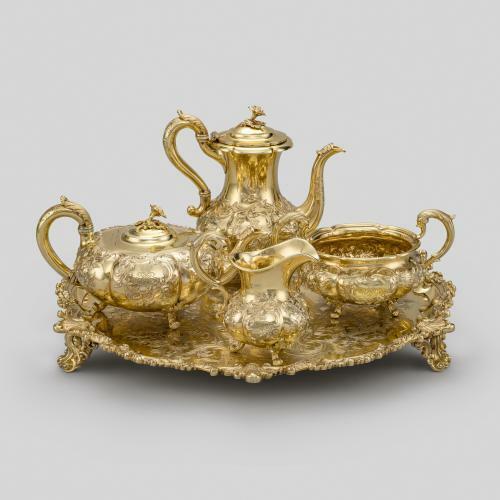 As tea caddies were placed on the table, where they would be seen by guests, they were often made from costly materials and elaborately decorated to reflect the status and wealth of the owner. 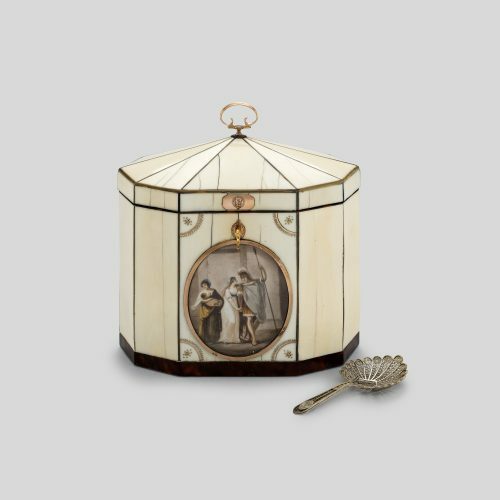 This tea caddy is made from ivory, an expensive and luxurious material at this time. The trade in valuable materials such as ivory, tortoiseshell and exotic woods flourished in Europe when new maritime routes opened along the east and west coasts of Africa between 1600 and the mid-18th century, and these materials were used extensively to make fashionable decorative objects. The caddy bears the crest for the 5th Duke of Manchester, head of the House of Montagu. The latin motto which encircles the keyhole reads Disponendo me non mutando me, ‘by disposing of me not by changing me’. The caddy is accompanied by a small filigree caddy spoon which also bears the Montagu crest.